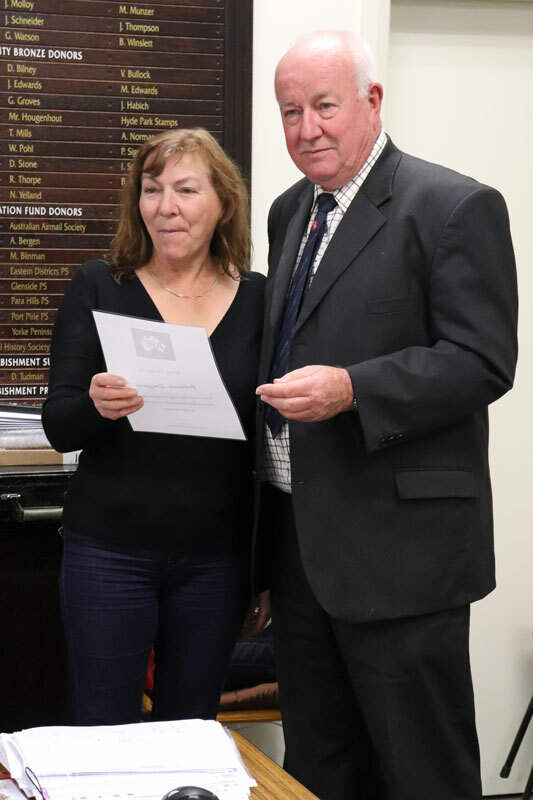 The APF Annual General Meeting brings together the Executive of the APF, APF Project Officers, FIP Commission delegates, member State Council delegates, and others involved in promoting philately throughout Australia under the auspices of the APF. The APF’s Annual Report including reports from members of the Executive, Project Officers, Commission Delegates and State Councils is presented at the meeting. A State Council’s Forum which is also run on the AGM weekend provides an additional opportunity for ideas and initiatives to be explored and debated which often results in numerous new services and programs being available to collectors and exhibitors. 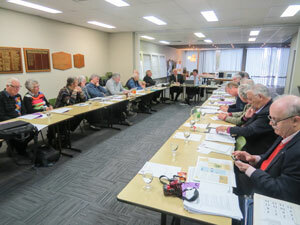 The AGM for 2018 was held on Saturday 8 Sept 2018 at the SAPHIL House, Adelaide . 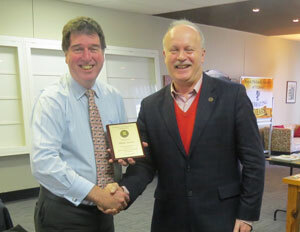 A Span award was presented to Lionel Savins for service to Philately at the National Level. 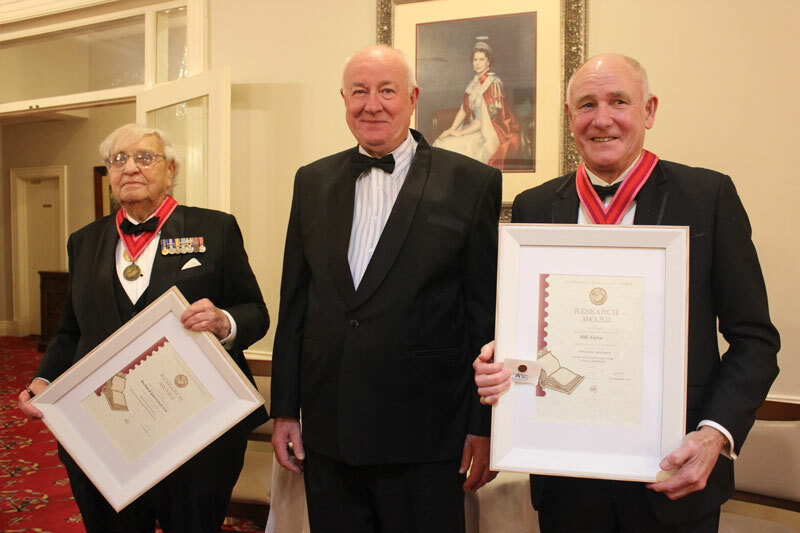 The Awards Dinner was held at the Naval, Military and Airforce Club in Adelaide. 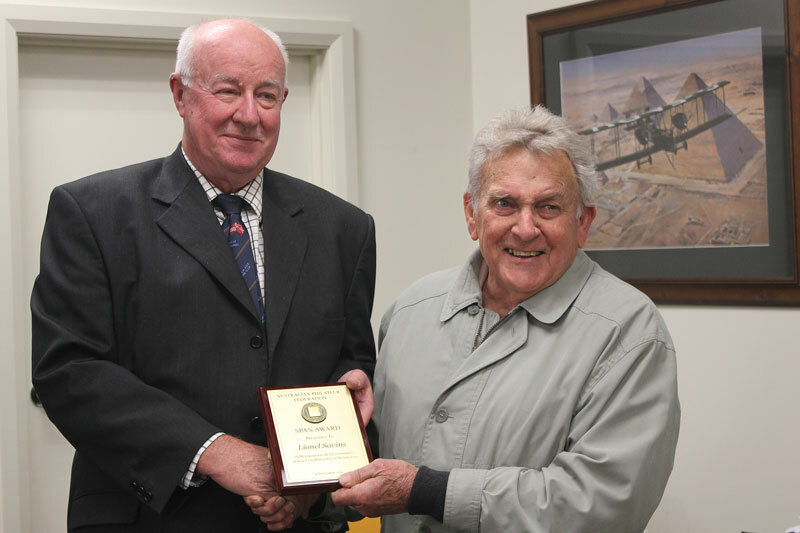 Two APF Research Awards were presented to Bill Fiora of WA and Richard Gurevitch from ACT. The AGM for 2017 was held on Saturday 16 Sept 2017 at Purves House, Melbourne. 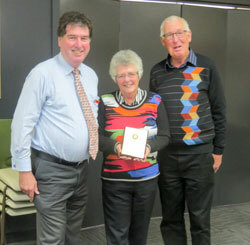 A SPAN Award was presented to Gaye and Graeme Chequer for services to philately at the National level during the meeting. Kim and Kevin Dwyer are also SPAN recipients but were not able to be present. 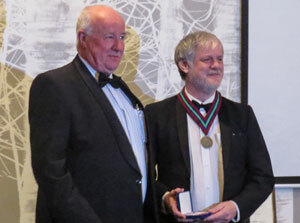 The APF Awards Dinner was held on Saturday evening where Dr Geoffrey Kellow was awarded the Fellow of Australian Philately. Hugh Freeman and Gordon Monk have both been awarded an APF Research Award but were unable to be present. Their Awards are to be presented in their home States. 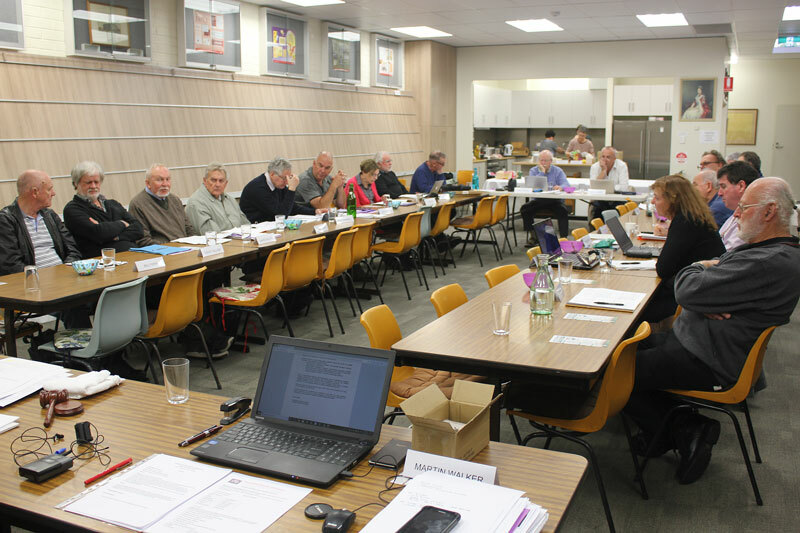 The 2016 Annual General Meeting was held in Adelaide on 17th September. The Awards Dinner was held on Saturday evening and APF Awards were presented to Ross Wood and Charles Bromser. A full list of contacts of the APF can be found on our contacts page.